We offer 100% cash advance for deliveries, 40% cash advance for pick-ups with same day pay. In addition, we offer debit cards with big discounts at the pump and credit cards with large lines of credit. How do I open an account – NOW? Simply call (847) 430-3620 to open your Cash Advance account or sign up online – it’s easy! How do I receive CASH – NOW? Upload a copy of your Bill of Lading (BOL) and cash is deposited directly into your bank account or fuel card account – SAME DAY! What is a Bill of Lading (BOL)? A rate confirmation sheet which identifies the dollar amount a broker is willing to pay for a load (given to you by the broker). The sale of your bill of lading (BOL) for instant CASH! You get a 100% Cash Advance for loads that are delivered or 40% at pick-up. 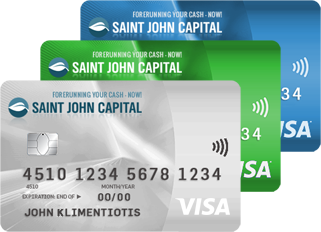 Just upload your BOL to get a Cash Advance – same day and money is deposited directly into your bank account, or into your Saint John Capital fuel card account (the choice is yours). When do I get Cash for my BOL? The SAME DAY you upload your BOL (bill of lading and rate confirmation sheet), CASH is deposited directly into your bank account. But if a BOL is received after 12:00 PM EST you will receive payment the follow business day. How long am I contractually bound? You are not contractually bound for any length of time, leave us whenever you want.